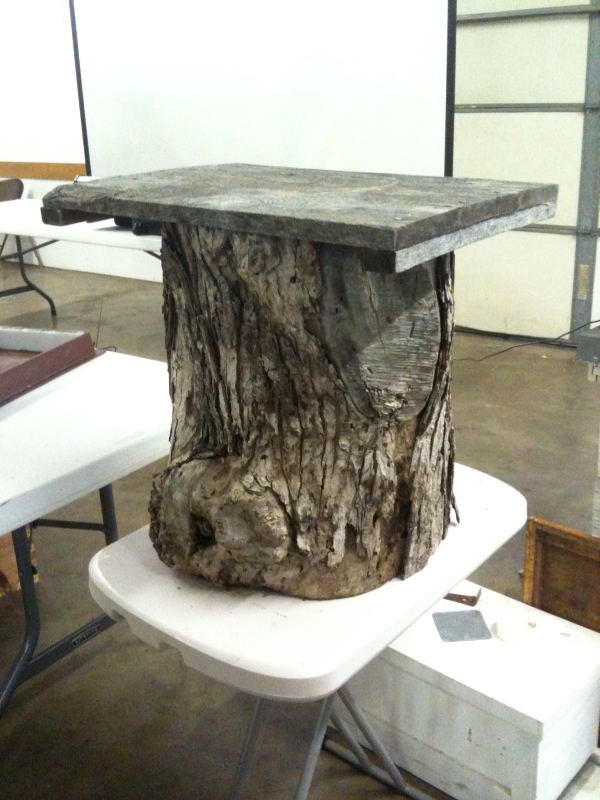 At a recent beekeepers association meeting I took this shot of an old fashioned hive made from a hollow log. These are called Bee Gums, named after the gum trees often used to make them. When bees were kept this way the whole colony was sometimes destroyed to harvest the honey. This style of hive may benefit the bees by most closely resembling the bees natural home. Since honeybees evolved to largely live in hollowed out trees, Deep Ecology 1 departs from the commonly used wider Langstroth hive dimensions and emulates the size of cavity found in hollow trees.